Sunshine Removals & Storage Limited - Removals/Storage based in Hurstpierpoint, West Sussex. 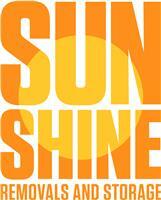 Sunshine Removals & Storage is currently in its infancy as a company. It's two directors Justin and Paul however have been working closely together in the removal and storage industry for a combined total of 25 years. We pride ourselves on the highest possible level of customer service in every aspect of our services. We are based mainly in Sussex and Kent which is where most of our removal services take place but we do offer a cost effective removal service all over the UK. We specialise in both full home and office removals but can also offer cost effective smaller moves or hourly rate removals depending on budget. Sunshine Removals and Storage Ltd is, of course, fully insured to carry out all aspects of removals. While every effort is made to care for your goods, accidents do sometimes happen which is why our goods in transit insurance policy covers each of our vehicles up to £30,000. In addition to this we also have public liability insurance which covers us up to £5,000,00.